For 2017's April's fool, we decided to not just do the usual outrageous gag that people can see right through. We decided to be slightly controversial and touch a nerve to our target audience - the modern Singapore/Malaysia parents. 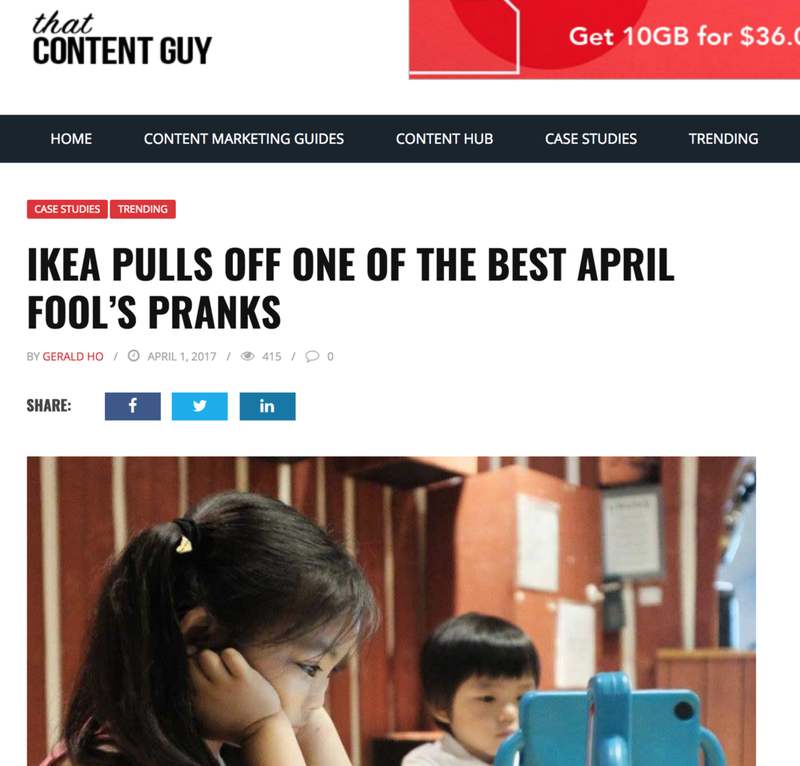 By using IKEA's Småland to set the scene and force parents to think on modern day parenting techniques. Småland is a play area where children can feel the Swedish forest atmosphere. While they are playing, parents and guardians can enjoy their shopping experience knowing their children will be safe and cared for, for 60 minutes for free. 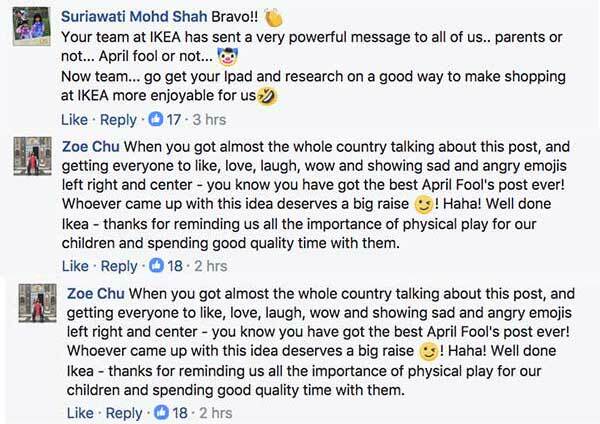 We release an announcement on IKEA's facebook page on changing their in house play ground to a press-playground. In which we will be removing the ball pits, magical forest and rope climbing spider and replacing it with ipads instead. We manage to collect millions of organic impressions and press coverage. With some parents initially outrage about removing physical play, then applaud us for forcing the conversation in a light hearted manner.